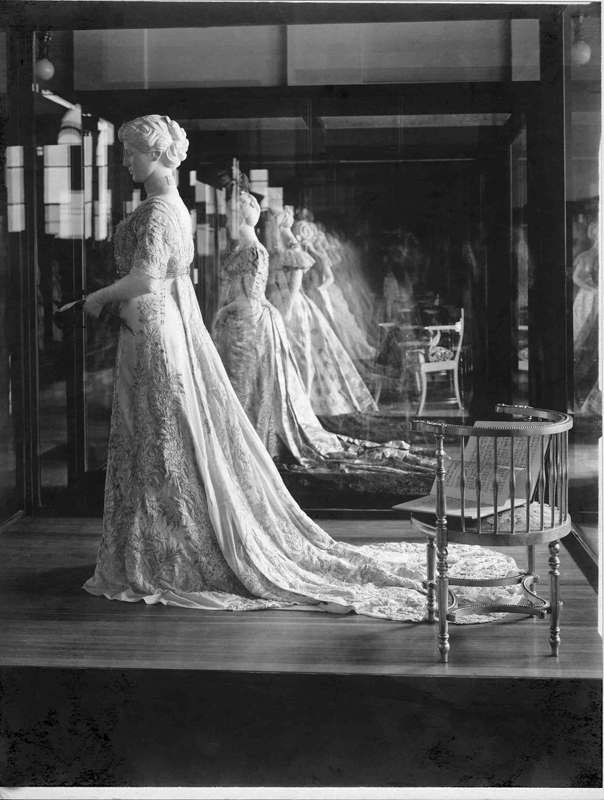 Following the pattern established in 1912 by collection founders Cassie Mason Myers Julian-James and Rose Gouverneur Hoes, the Smithsonian Institution asks each first lady to donate a dress to represent her in the collection. As the popularity of the collection has grown, so has the ceremony surrounding the donation of the dresses. Early donations were informal affairs and often happened after the first lady had left the White House. Modern gown presentations are staged media events publicizing both the Smithsonian and the first lady. 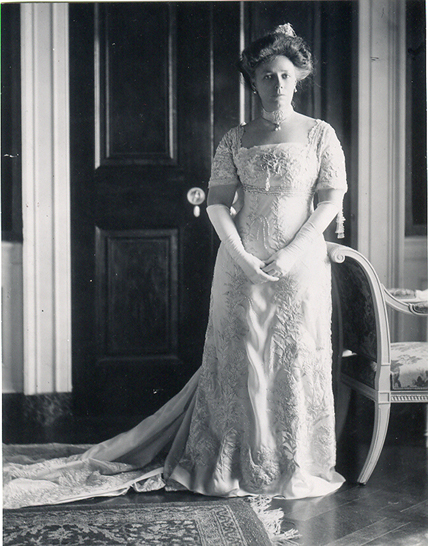 First lady Helen Taft enthusiastically supported the establishment of the first ladies collection. 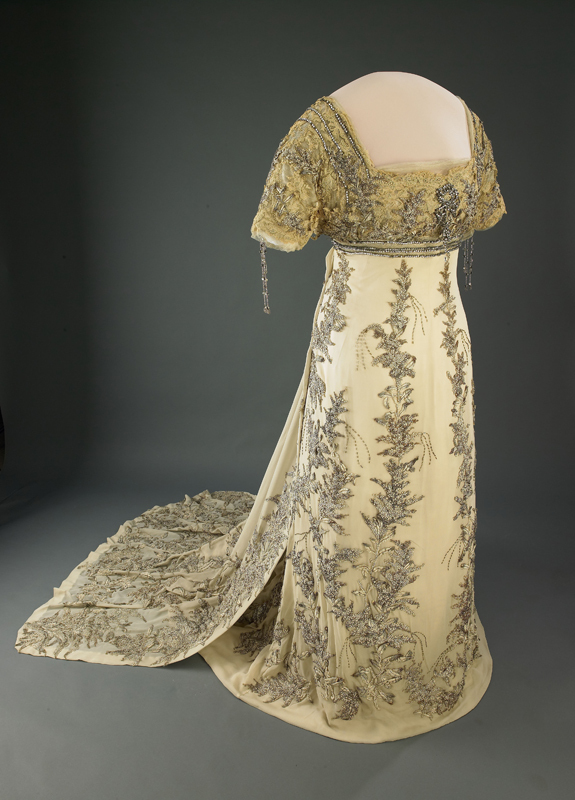 When asked to contribute a dress to the exhibition, she chose the gown she wore to her husband’s 1909 inauguration. Her choice established a precedent for future first ladies and each one since who attended an inaugural ball has donated the gown she wore to that event. Helen Taft’s 1909 inaugural ball gown is made of white silk chiffon appliquéd with floral embroideries in metallic thread and trimmed with rhinestones and beads. It was made by the Frances Smith Company. The fabric and embroidery have become discolored, and most parts of the skirt were replaced as part of a 1940s conservation effort.